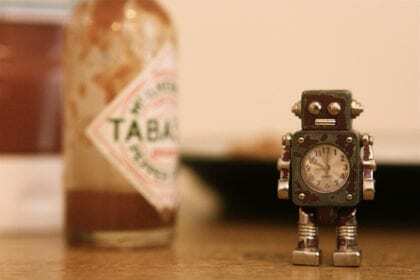 Ville-Veikko Pulkka, a public policy researcher and doctoral candidate at the University of Helsinki, has published his paper “A free lunch with robots – can a basic income stabilise the digital economy?” in European Review of Labour and Research. Pulkka was previously employed as part of the research team at Kela, the Finnish Social Insurance Institution, responsible for the design and preparation of the nation’s two-year experiment replacing conditional unemployment benefits with an unconditional basic income. The Finnish experiment has been the topic of most of his previous published work and presentations related to basic income (including presentations at conferences in Switzerland, Poland, Finland, and Ireland). Pulkka’s research at the University of Helsinki, including his doctoral dissertation, centers on the implications of the digital economy for labor and public policy. The discussion on the possible implications of the digital economy for labour continues unabated. An essential dimension of the discussion is the widely shared view that a basic income could guarantee sufficient purchasing power for unemployed, underemployed and precarious workers should technological unemployment and labour market insecurity increase. A budget-neutral basic income has serious limitations as an economic stabilisation grant, but if financing proposals are revised, these limitations can be tackled. Even though guaranteeing sufficient purchasing power for unemployed, underemployed and precarious workers does not necessarily require an unconditional universal benefit, it seems clear that traditional activation based on strict means-testing and obligations will not be a strategy flexible enough to guarantee sufficient consumer demand in fluctuating labour markets. An economically sustainable solution might be to reduce means-testing gradually and to study carefully the effects. The full article is available behind a paywall here.